As you've no doubt heard by now, legendary artist David Bowie died on Sunday at the age of 69, after suffering from cancer for over a year. It was a sad and unexpected end to a career that spanned decades and pushed boundaries. During his lifetime, David revolutionized the worlds of music, style, art, sexuality, and… high finance? Wait, what? Yup, you read that correctly. You probably know what it means to buy "stock" in a company. That's when you buy a percentage of the company's equity. Buying a "bond," on the other hand, is something many people are less familiar with. It's actually not that complicated. When you buy a bond, you are buying debt: you are basically loaning money in exchange for an interest payment and a promise that the money will be paid back. Part of the reason we are less familiar with bonds is because it's not very easy for the average person to buy bonds. You can't really buy Coca-Cola bonds through your online brokerage account. Bonds are mainly sold to institutional investors. For example, if Coca-Cola wanted to raise $100 million, they would go out to a bunch of banks, hedge funds and private equity firms and try to get the most amount of money from each source at the lowest interest rate. And for the most part, when we hear about bonds getting bought and sold, we're talking about major corporations or governments raising money to undertake big projects (acquiring a rival company, building a stadium, etc.). This system is also called "debt financing." But just because the most common bond issuers are corporations and governments, pretty much anything and ANYONE can sell bonds – as long as they have an asset to back up the loan. Back in late 90s, David Bowie became convinced that his future music royalty streams would evaporate, thanks to the rise of online piracy and services like Napster. Concerned that he would be losing a valuable source of income, he briefly considered selling off all the rights to his entire music catalog while it was still worth something. It was similar to the way The Offspring recently sold their catalog for a onetime payment of $35 million. However, after much contemplation, Bowie decided he couldn't sell off his beloved music. His soul was in this music. These songs were his children. A friend ended up referring David to a banker who was familiar with unusual finance deals, as he was hoping to find an alternative solution. This banker suggested that Bowie try to raise some money by selling bonds. Bowie had no idea what a bond was at the time. The banker explained that Bowie could "securitize" his music royalties and sell debt using the catalog as collateral. In other words, Bowie would take the money generated every year from his royalty streams and assign them to a specially-formed financial vehicle. These royalties would go to the bond holder and if for some reason Bowie couldn't repay his loan on the due date, he would lose the rights to his music catalog. With this revolutionary concept marrying the music and finance worlds, Bowie and the banker visited with various banks and hedge funds to see if they could drum up any bites. As it turns out, the "Bowie Bonds" were very popular. 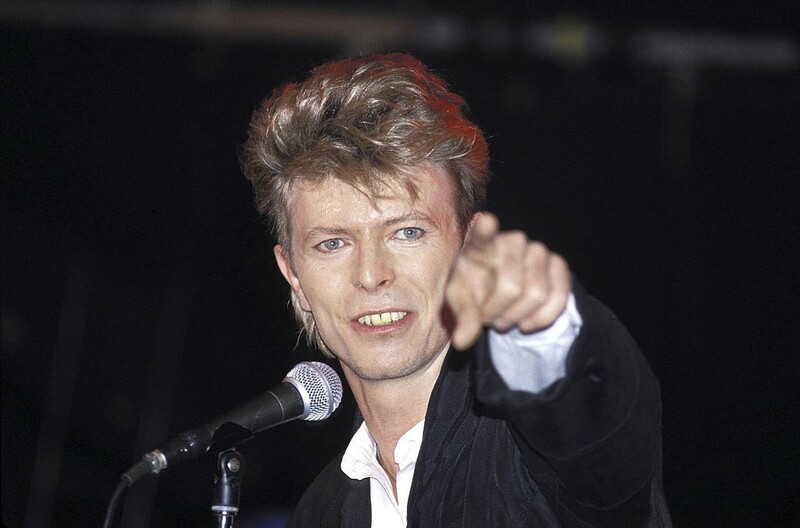 Bowie soon raised $55 million from Prudential Financial using ever song he wrote prior to 1990 as collateral. The loan would last 10 years and would come with annual interest payments of 7.9%. After 10 years, Bowie would pay back the loan and regain his royalty payments without having to give up ownership of his catalog. Why would David do this? Because, believe it or not, getting a $55 million loan at an interest rate of 7.9% is relatively cheap money. David could go out and use that $55 million to buy real estate, invest in a business… anything he wants. The bank was also betting that they could get a higher than 7.9% return off David's royalty stream. Not only was this concept revolutionary, but Bowie's timing was absolutely perfect. In 1997, the full extent of music piracy and streaming was not understood, so bankers still thought music royalties would make huge returns. This actually turned to be not so true. But David paid back the loan in full after 10 years so both parties ended up happy. If David had waited just a few years to do the same deal, he wouldn't have been able to raise a fraction $55 million and the interest rates would have been much much higher. David Bowie is an English singer, songwriter and music producer who has had an incredibly successful career that has span six decades. He is best known for his innovative work completed in the 1970s, and has always been on the cutting edge of music.